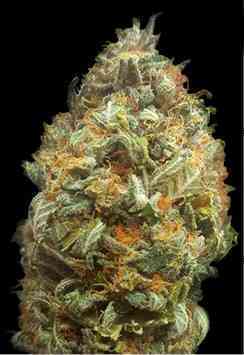 Auto OG Kush has a similar mix of complex flavors and exotic lemony diesel fragrances than the original. It has a powerful effect that last's long and acts physical and mental. It can get extremely tall, up to 180 cm and it takes about 75 days to finish these plants from seed to harvest. Like for most autoflowering varieties in our stock, Auto OG Kush can be very well grown indoors and outdoors. The plants have a short spaces between internodes and a rapid vegetative growth, something that is rarely seen with autoflowernig varieties. One of our favorite autofem varieties.